Office Fox are a young company whose owners have over 25 years industry experience. They specialise in the supply and installation of branded mailing equipment, print services including inks and toners and also office furniture. Many businesses are put off changing their office printers/photocopiers because of the hassle that goes with it, but Office Fox take this on board and provide clients with an all-inclusive, no-fuss service. They were nominated for the 2017 Herts Business Awards ‘New Business of the Year’. As with most new businesses their marketing material was designed and creating at the beginning with the priority being business cards, a website and a social media presence. Now trading successfully, they felt it was the right time to establish the Office Fox brand and develop it throughout all areas of the business to reflect the professional image they have built and to ensure that all communication sent to both potential and existing clients is consistent and 100% on brand. In conducting an audit of their current marketing efforts, it was agreed that Simpsons would firstly focus on supplying Office Fox with a new strapline to give a clear and immediate understanding of what the business objective is. Once finalised the new strapline would then be rolled out across all marketing materials and give the business a consistent, professional image. Simpsons Creative then established the new document templates using the current Office Fox logo and corporate colours of orange and black. As the original design of business cards and website were a great start to help the business stand out in the current marketplace with their unique, modern design, Simpsons Creative took inspiration from this to create the new document templates. 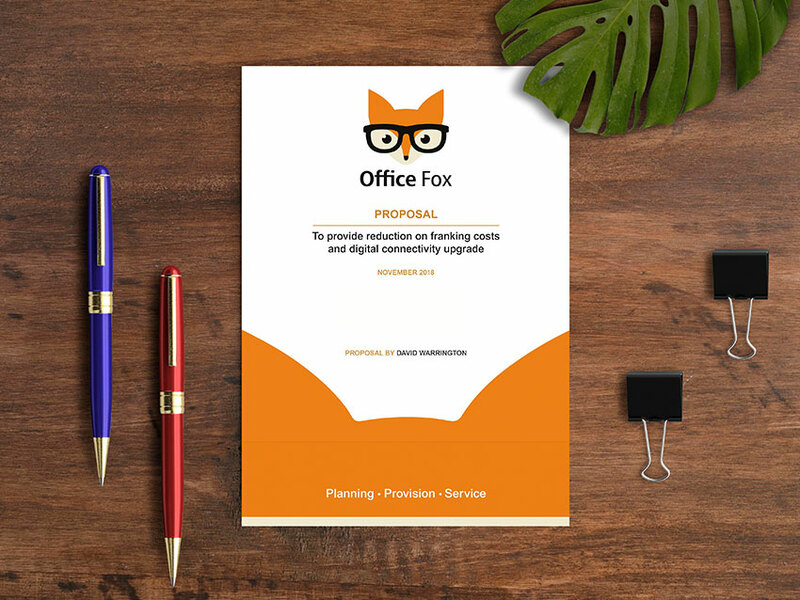 A Client Proposal Template and an Invoice Template were top priority for Office Fox, so we got to work on those first. 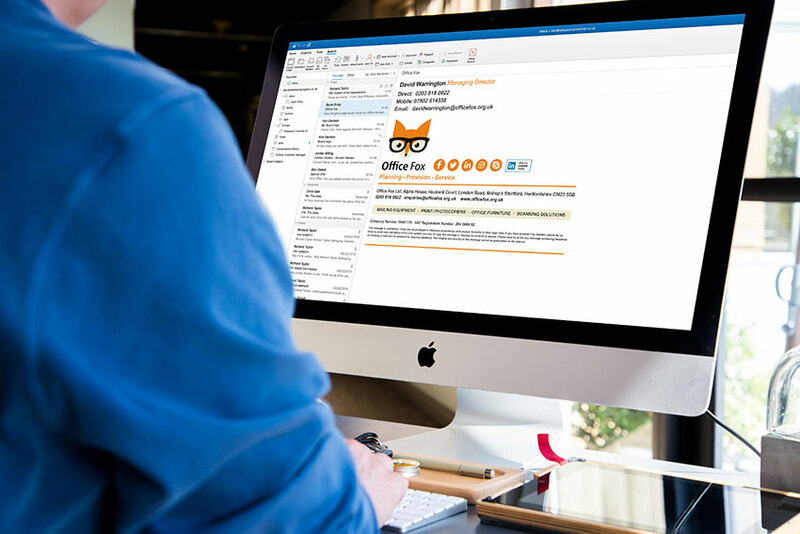 Office Fox also requested that Simpsons Creative create a new email signature to filter in the new strapline, which (of course) we were happy to do. 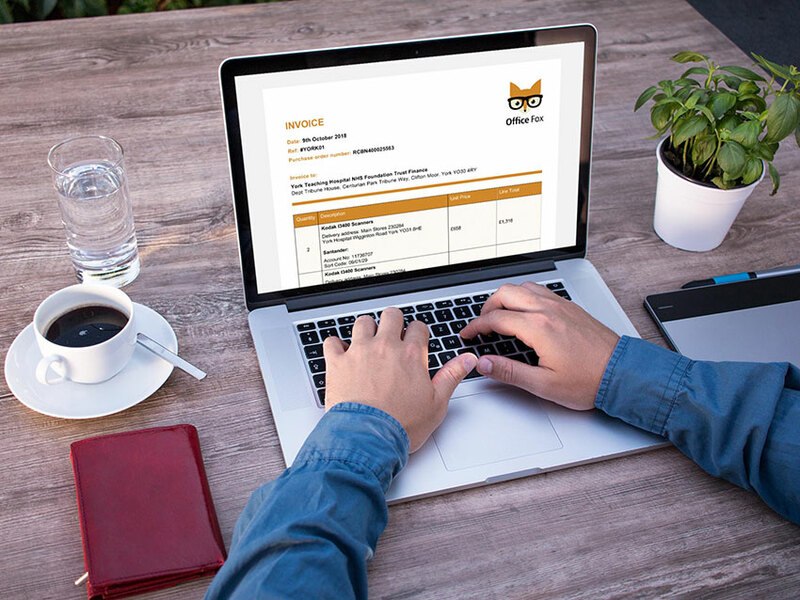 We were delighted to supply Office Fox with their new strapline, document templates and email signature and hope to work with the team again soon on other exciting projects.